Searching for some cruelty-free pizzazz? These nail skins, made by Nail Couture L.A exclusively for People for the Ethical Treatment of Animals are the perfect thing! 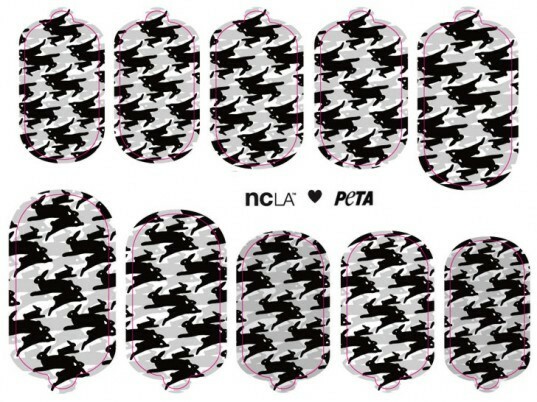 PETA’s signature bunny pattern is not only adorable, it signifies that the polish is free of toxic chemicals and animal cruelty. Click ahead to read more about the limited edition nail wraps and pre-order your set! Searching for some cruelty-free pizzazz? These nail skins, made by Nail Couture L.A exclusively for People for the Ethical Treatment of Animals are the perfect thing! PETA's signature bunny pattern is not only adorable, it signifies that the polish is free of toxic chemicals and animal cruelty. Click ahead to read more about the limited edition nail wraps and pre-order your set!